This book is a pocket guide to inspire primary teachers to become confident, effective, imaginative teachers who enjoy teaching, and whose pupils enjoy learning. 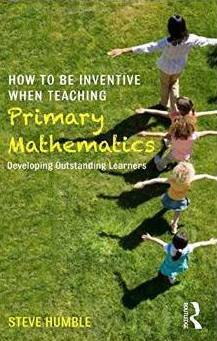 It is packed with exciting, creative, unexpected ideas, to help teachers and pupils open their eyes to the mathematical world around them. It gives teachers the tools to develop their own classroom activities and experiences, supporting learners as they move fluently between mathematical ideas and develop their ownership of mathematics: Take your pupils on a maths walk, meet dinosaurs, visit art galleries, learn your destiny number, create your first human graph in the playground and learn how to be an algebra magician.